My husband and I love Brussels sprouts, and we’ve been trying to get our two boys on board with them for years. 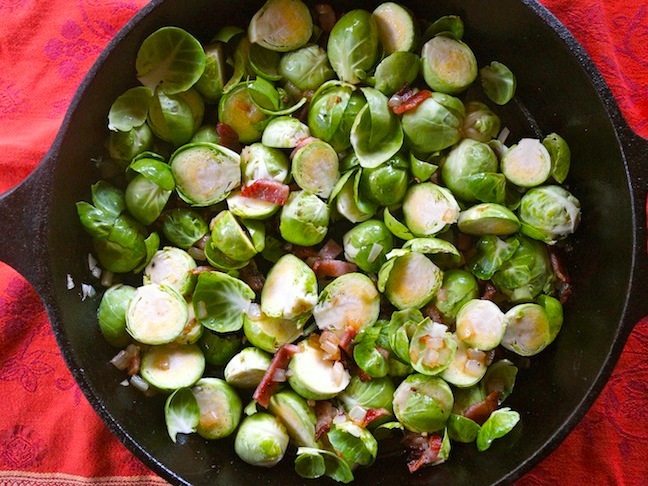 It’s tricky — because after all, Brussels sprouts are green! I’m happy to report though, that I finally made it happen. With bacon. 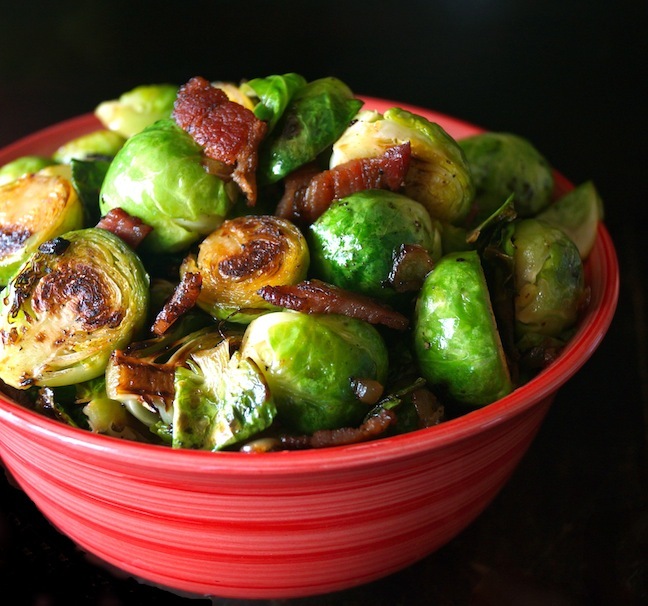 Oh yeah: Roasted Brussels Sprouts With Bacon, because bacon makes everything taste better. Plus, you can whip up this delicious side dish in 20 minutes. Here’s to hoping your kids love it as much as mine do. 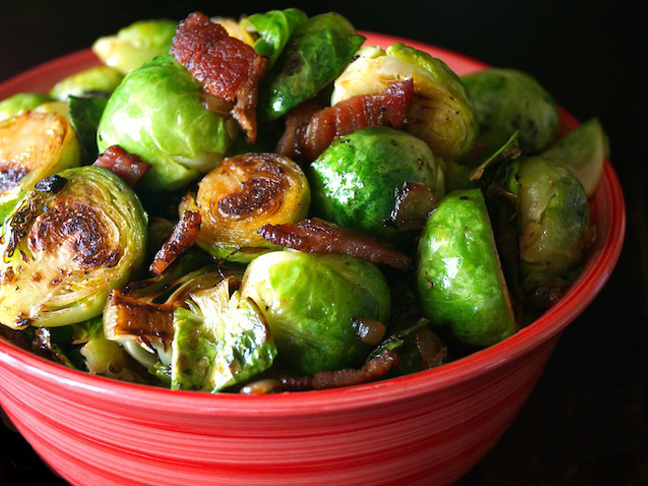 OK, we can't promise this dish will cure your kid's green veggie aversion -- but, hey, bacon is pretty magical. Step 1:Trim the root ends from the Brussels sprouts and then cut them in half lengthwise. Line a large plate with a double layer of paper towels. Set sprouts and plate aside. Preheat the oven to 400 degrees F.
Step 2: Add the bacon to a large, ovenproof sauté pan (approximately 12-inch, and preferably cast iron), and place it over medium heat. 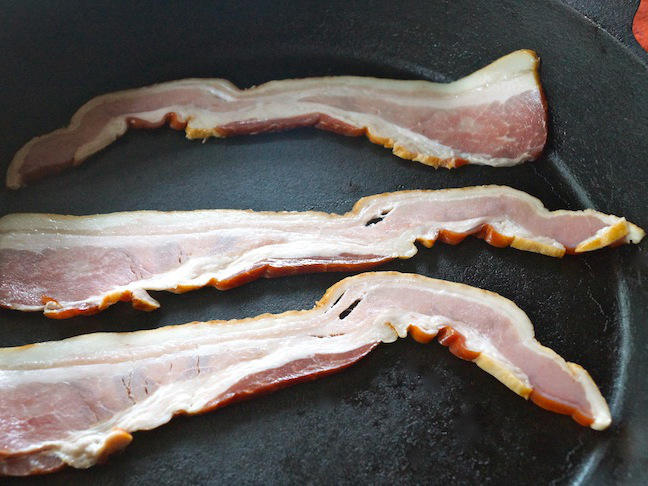 Cook until the bacon is golden and crispy, about 4 minutes per side. Use kitchen tongs to remove the strips and place them on the paper towel-lined plate to drain. 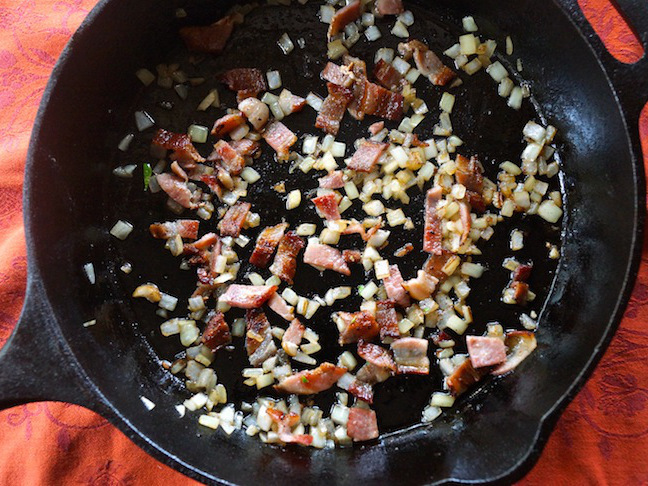 Step 3: Add the onion to the bacon fat that's left in the pan, and reduce heat to low-medium. Sauté until soft for about 5 minutes. Then finely chop or crumble the bacon and add it to the onions. Step 4: Add the Brussels sprouts to the pan and sprinkle with a bit of salt and pepper. Drizzle with olive oil if the bottom of the pan is dry. 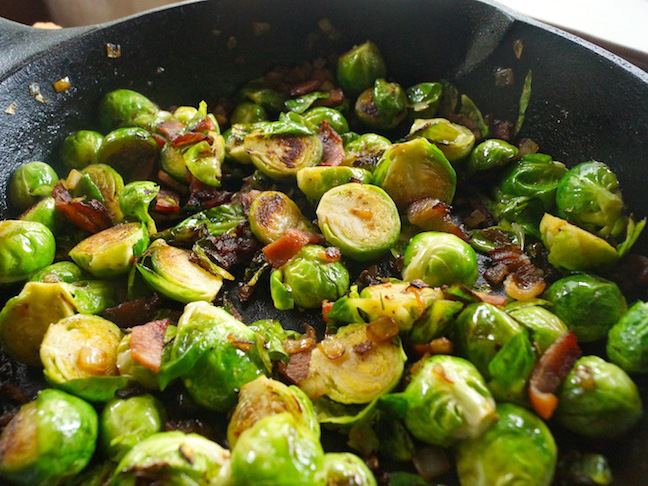 Place the pan in the preheated oven and roast until the Brussels sprouts are tender and golden, about 10 minutes. Stir them about halfway through the cooking time. Step 5: Season to taste with salt and pepper and serve.